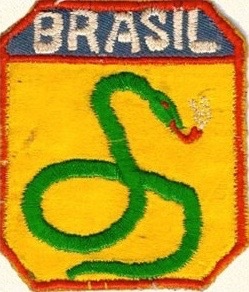 The Smoking Snake shoulder patch of a Brazilian Expeditionary Force soldier in WWII. 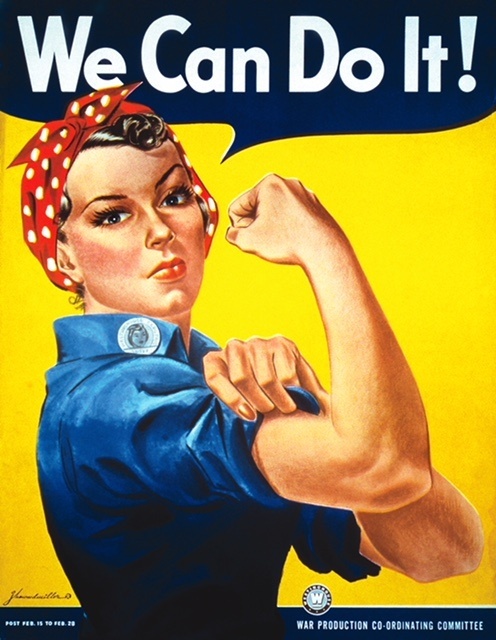 Brazil was the only Latin American country to send ground troops overseas to fight in WWII. In 1941 after the December 7th Japanese surprise attack on Pearl Harbor, Hawaii, the United States (US) Navy was granted access to Brazilian ports in its anti-submarine campaign in the Battle of the Atlantic against the Axis. In early 1942 Brazil granted permission to the US to establish air bases and military installations on Brazilian territory. 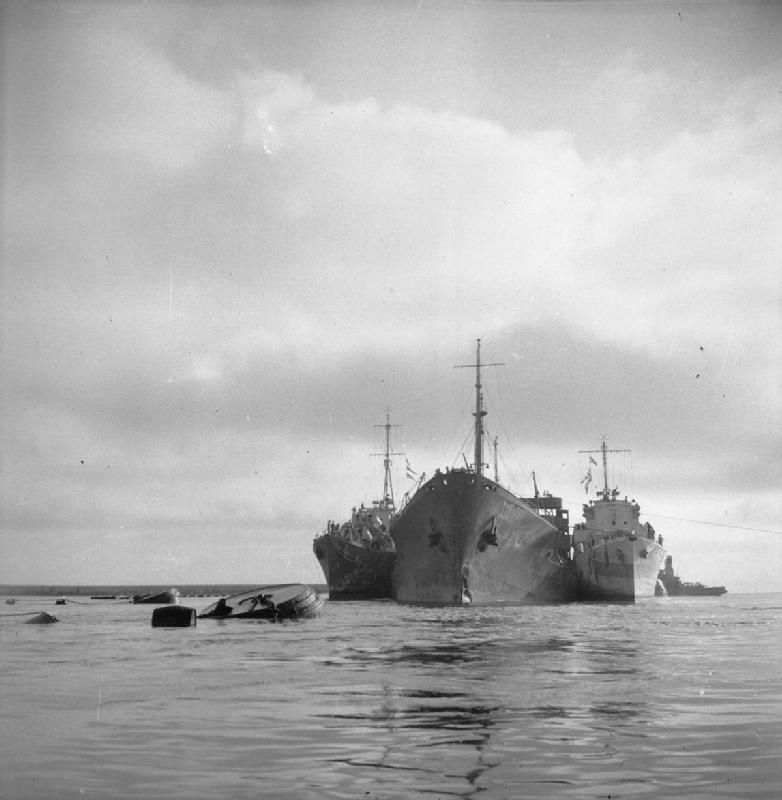 The South American bases were essential as staging and stopover points for aircraft and ships with destinations in Africa, the Mediterranean, and beyond. 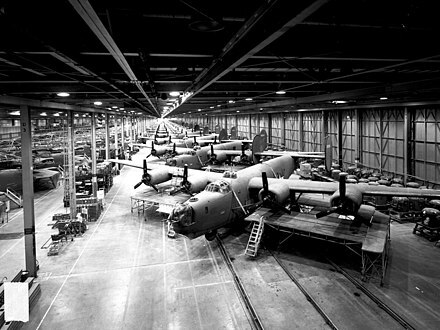 Recife and Natal, Brazil, were particularly important bases during WWII. The President of Brazil Getúllo Dornelles Vargas declared war on Germany and Italy on August 22, 1942, after 36 of its merchant ships were sunk in the Atlantic Ocean by German and Italian submarines. The Brazilian Expeditionary Force (BEF) was formed in early 1943 and had Army and Air Force branches. 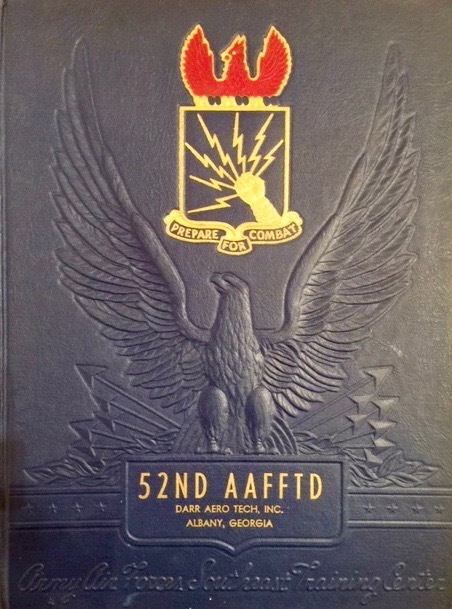 The BEF included about 25,700 men and women. 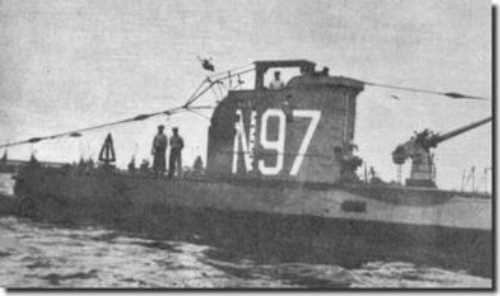 The Brazilian Navy was not directly part of the BEF. 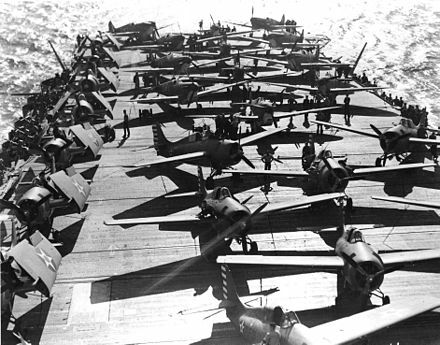 The Brazilian Navy and the Allies defended air and sea transport lanes, protected convoys between South America and the Strait of Gibraltar, and made it difficult for German and Italian submarines to operate in the Central and South Atlantic Ocean and in the Caribbean Sea. 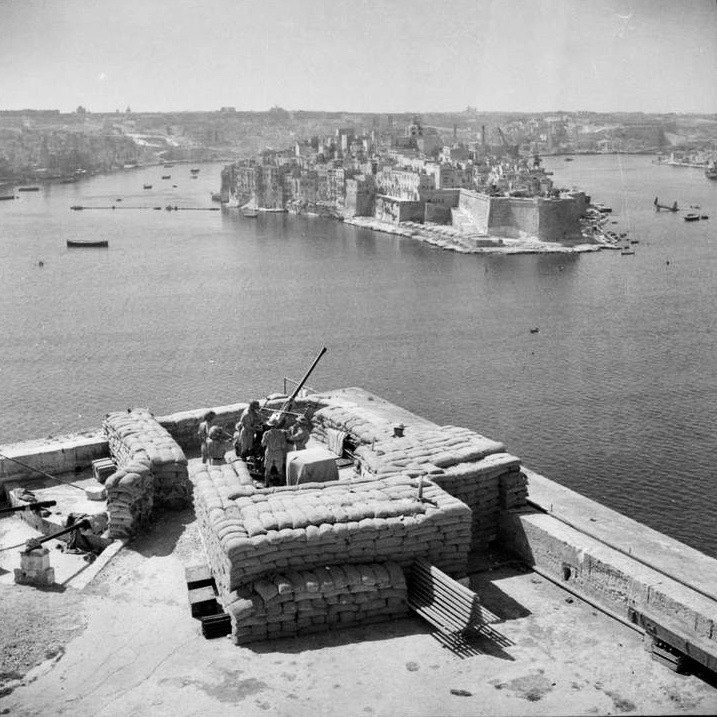 The first group of BEF troops sailed from Rio de Janeiro, Brazil, to Naples, Italy, in 1944. Their mission was to fight alongside other Allied armies in the Mediterranean Theater. The BEF Army branch was attached to the Allied 15th Army Group composed of British and US field armies in Italy. The BEF had a notable role in numerous battles in Italy including the Battle of Monte Castello, the Battle of Montese, and the Battle of Collecchio. They captured over 20,000 Axis soldiers. The BEF air branch was attached to the 305th Fighter Group of the US Army Air Force, 62nd Fighter Wing, 12th Air Force flying in the Mediterranean Theater. The Brazilians flew Republic P-47D Thunderbolt fighter planes from their base in Tarquinia, Italy. Their callsign was Jambock. They flew 445 missions and destroyed military targets including 1,304 motor vehicles, 13 railway wagons, 8 armored cars, 25 railway and highway bridges, and 31 fuel tanks and munitions depots. 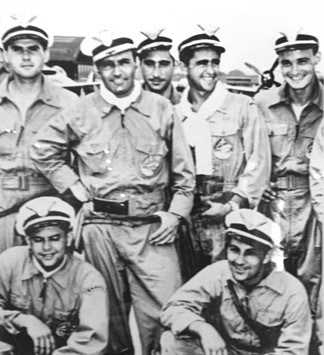 Brazilian P-47 Thunderbolt pilots wearing their distinctive white caps. Kneeling left to right: 2nd Lieutenant Paulo Costa, Captain M. Joel. Standing left to right: 1st Lieutenant A.D.S. Eustógio, Lieutenant Colonel Nero Moura, 1st Lieutenant I. Motta-Paes, 1st Lieutenant R.B. Lima-Moreira, 1st Lieutenant L.F.M.F. Perdigão. When WWII ended, the Brazilian Expeditionary Force had lost nearly 1,000 men killed in action. The Brazilian Military Cemetery of Pistoia, Italy, was established on August 4, 1945. The cemetery closed in 1960. The soldiers’ remains were returned to Brazil and re-interred at the Monument of the Dead of World War II in Rio de Janeiro. The body of an unidentified Brazilian soldier was later discovered still buried in the Pistoia cemetery. The Brazilian government elected to leave the remains of the soldier there. In 1967 the Brazilian Monument and Tomb of the Unknown Soldier of World War II was inaugurated at Pistoia. 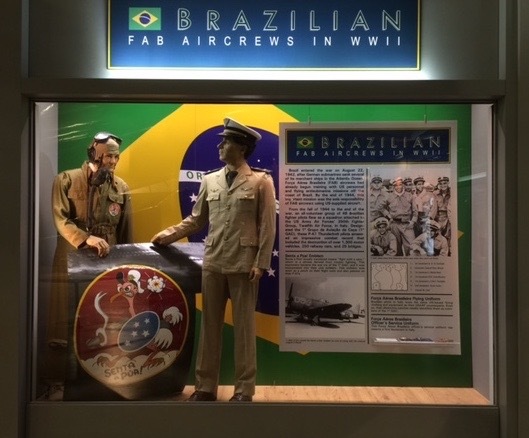 An exhibit in the National Museum of the US Air Force in Dayton, Ohio, to commemorate the Brazilian Air Force in WWII. 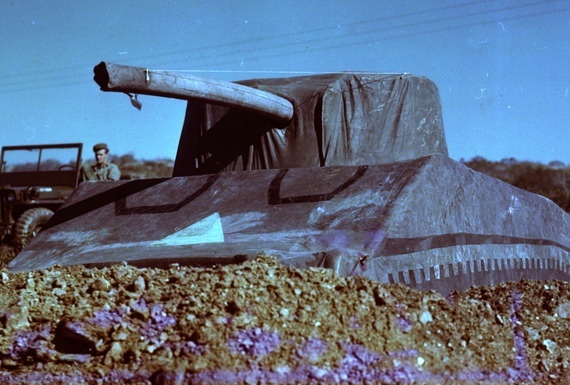 For additional information about the Brazilian Expeditionary Force in WWII visit https://en.wikipedia.org/wiki/Brazilian_Expeditionary_Force. 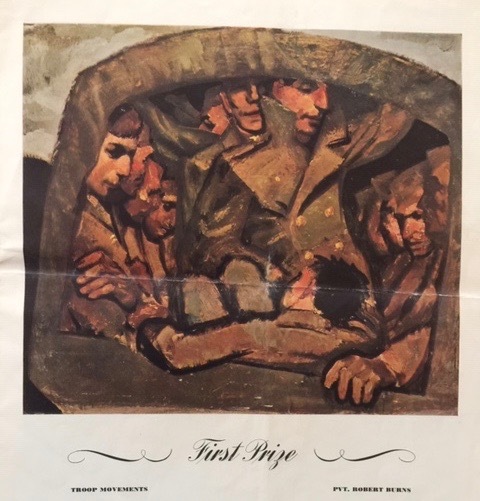 Also at the web page is the story explaining how the BEF got the nickname Smoking Snakes. 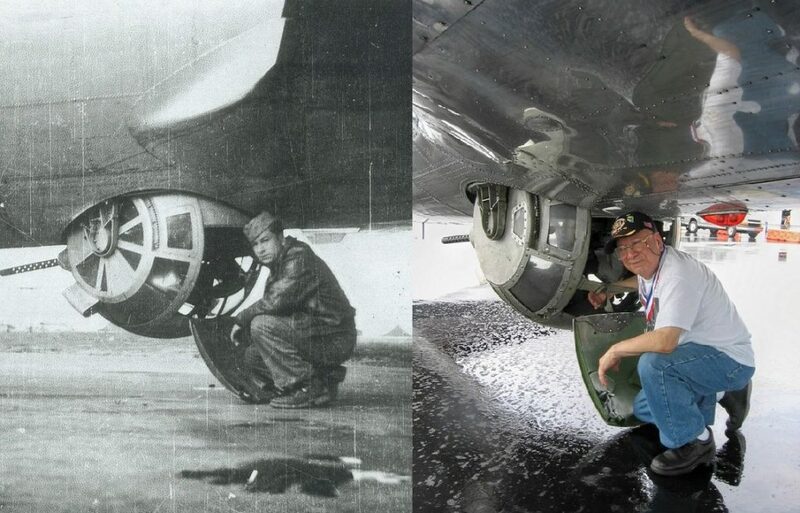 Frank Perez WWII and 2010 kneeling next to the ball turret of a B-17 Flying Fortress. Frank Delgado Perez was born in Los Angeles, California, on January 14, 1924. Growing up near an aircraft manufacturing plant, he became interested in airplanes. 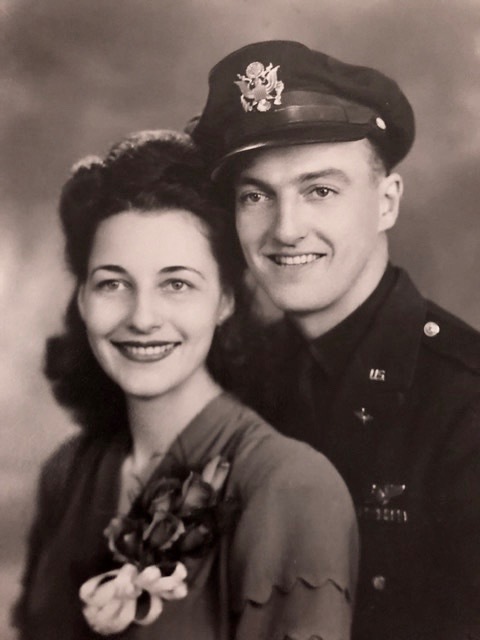 Drafted in 1943 he requested assignment to the United States Army Air Force (USAAF). Upon induction into the USAAF Frank reported to Keesler Army Air Field at Biloxi, Mississippi, where he went through basic training and then received specialty training at the Airplane and Engine Mechanics School there. 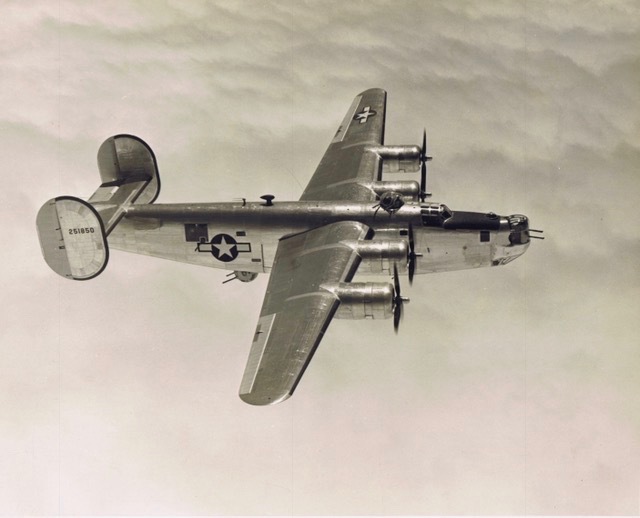 Graduates of the school became a B-24 Liberator Flight Engineer. 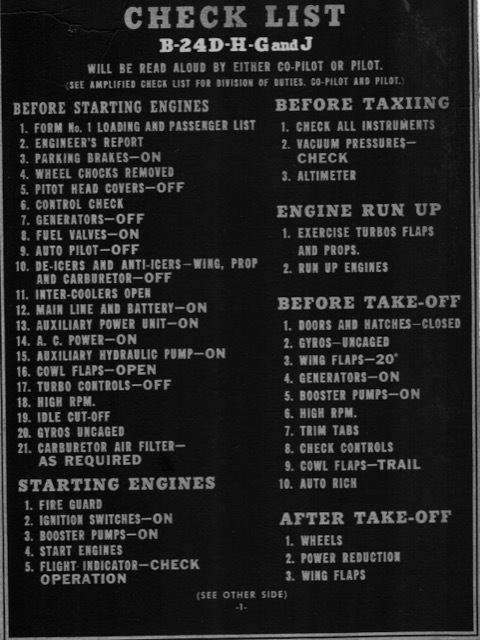 After gunnery school at Laredo Army Air Field, Texas, and ten days leave, Sergeant Perez reported to Salt Lake City Army Air Field, Utah, where flight crews were being formed. 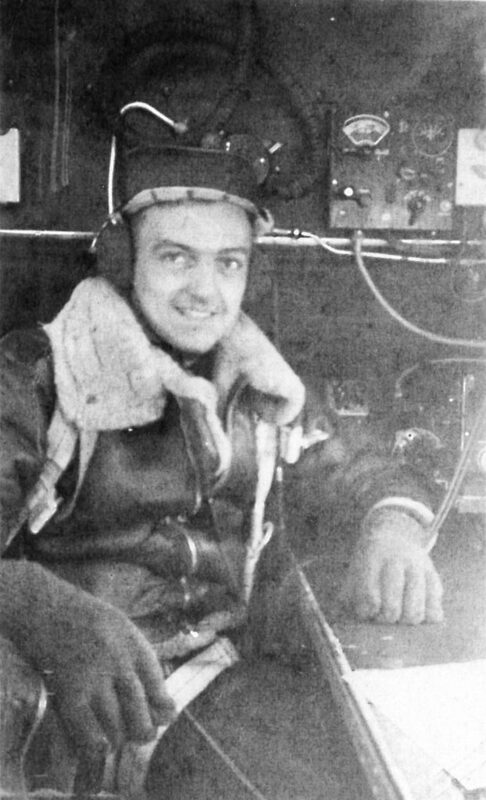 Expecting to be assigned to a B-24 crew but due to the “needs of the service,” Frank was assigned to the Lieutenant (Lt) John J. Connolly crew of a B-17 Flying Fortress. 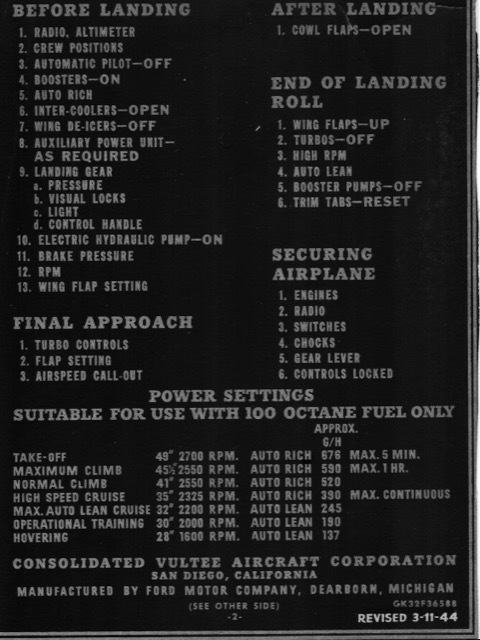 The B-17 crew already had a flight engineer, so Frank was selected for the ball turret gunner position. The Connolly crew then went to Sioux City Army Air Base in Iowa for advanced overseas crew training. In April 1944 the Connolly crew with other recently formed B-17 crews ferried new B-17s over the Atlantic Ocean northern route and landed in Prestwick, Scotland. Sadly, a number of B-17s and crews were lost enroute. Transported from Scotland to England the Connolly crew was assigned to the 401st Bomb Group (BG), 613th Bomb Squadron, Deenethorpe. The base was about two miles east of Corby, Northampshire, England. Due to scheduling and additional training received by some members of Frank’s crew, he flew his first combat mission as a ball turret gunner with the Lt Dow C. Pruitt crew on April 18, 1944. The primary target was Oranienburg, Germany. The city was the site of a Nazi nuclear energy project. Cloud cover over the city that day forced cancellation of the mission, and a secondary target was chosen. The secondary target was the Kumarkische-Zellewolle Viscose Fiber factory at Wittenburg, Germany. 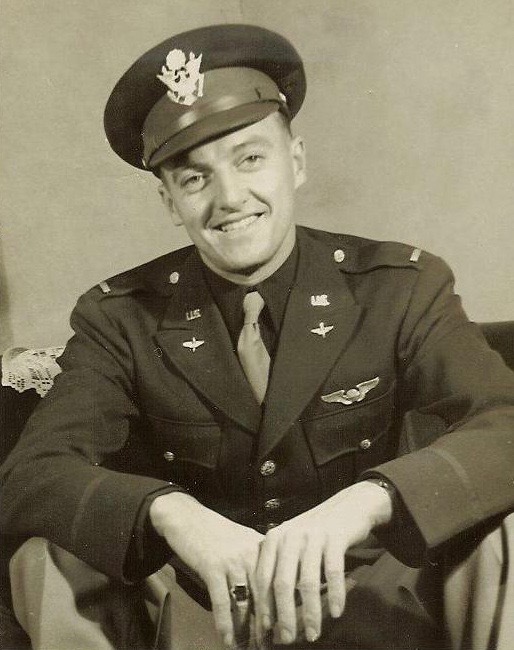 April 19, 1944, Frank’s second combat mission, he rejoined the Connolly crew. The target that day was Kassel, Germany. Kassel targets included aircraft, heavy tank, locomotive, engine, and motor transport plants as well as railway works. In 2012 oral history interviews * **, Frank spoke of the anxiety and fear felt by many men flying combat missions. 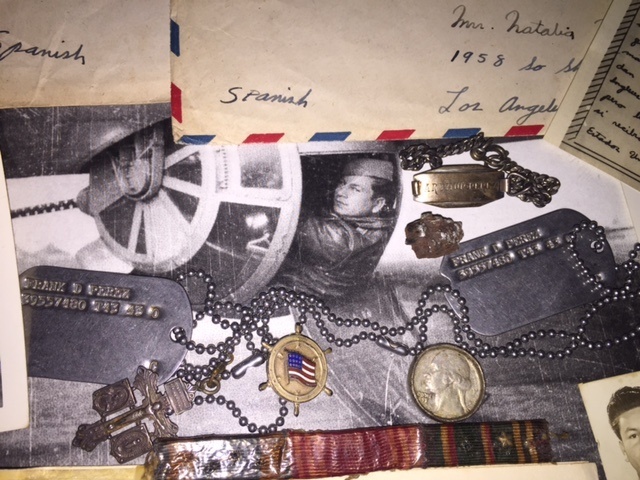 He was a devout Catholic and wore a crucifix on the chain with his dog tags. Frank said before a combat mission a priest was available to those men who wanted to receive Absolution (part of the Sacrament of Penance). It offered them a sense of peace in knowing that they may not return. Frank did not drink alcohol but said if he did he would rather have had the shot of whiskey before the mission instead of during the interrogation when they returned to their base. 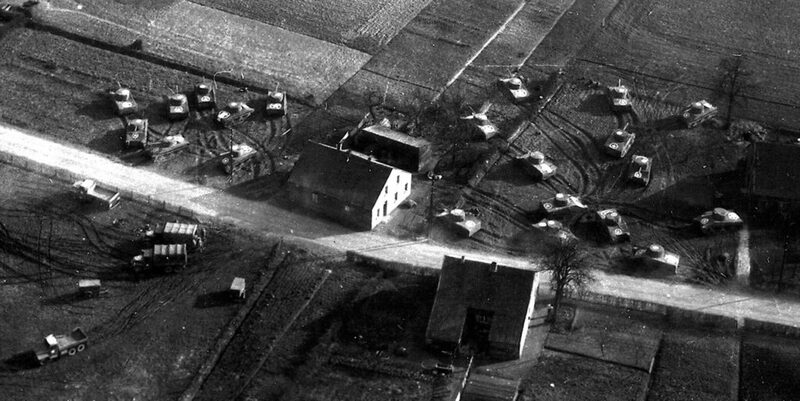 All combat missions were fraught with danger, but Frank spoke of a particular mission to Ludwigshaven, Germany, that became a test of his faith. Ludwigshaven was the site of large marshalling (railway) yards and a railroad depot. 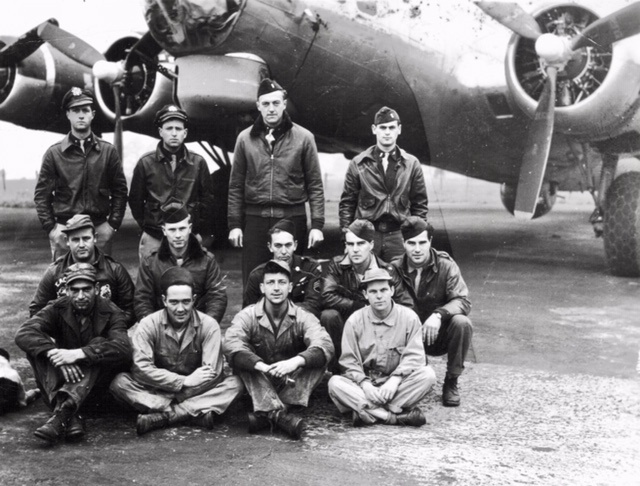 The bombing run that day was completed, and the B-17s turned to fly back to their base in England. Frank’s B-17 was hit by flak and began tumbling and rolling out of control as it quickly lost altitude from about 30 thousand feet. They were still over Germany. 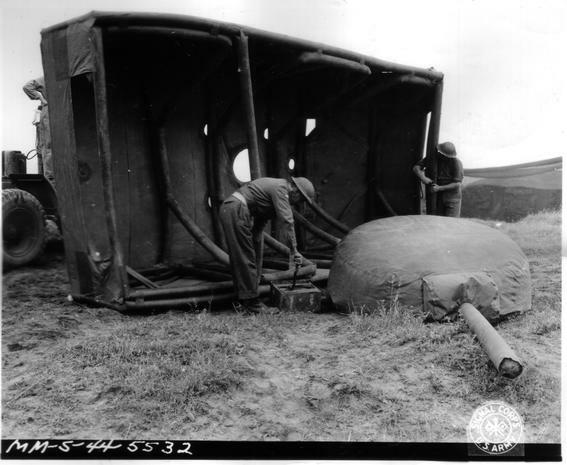 Frank could not get out of the ball turret due to the centrifugal force created as the plane fell from the sky. He saw the ground getting closer and closer. Frank called the pilot on the intercom. No answer. Then he called “anyone.” No answer. During the oral history interview Frank asked for a moment to collect his thoughts. Even decades later, he said he felt “tongue-tied” and emotionally “thrown back” to that mission. And then the B-17 pulled up. The plane was flying at treetop level with only two of the four engines working. The crew began throwing unnecessary equipment and supplies out of the plane to lighten the load. Frank was still in the ball turret and was there for the entire mission. After what seemed like an eternity, he saw the White Cliffs of Dover on the English coastline. He knew they were going to make it. The B-17 landed at a B-24 base in England. As fate would have it, Frank knew many of the military personnel at the B-24 base. After all, he had trained with them in Biloxi, Mississippi. 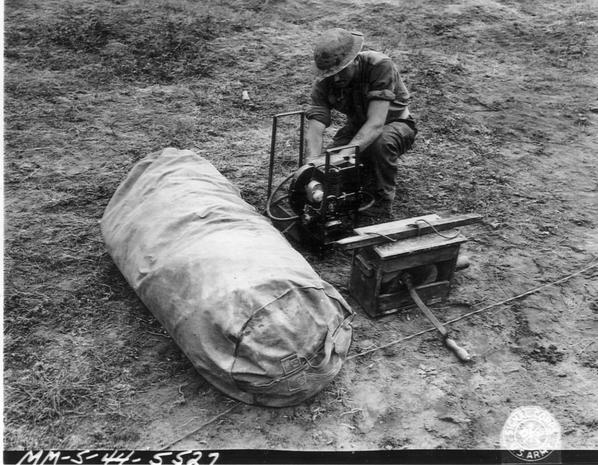 Frank and the crew stayed there for a few days while the B-24 mechanics repaired the B-17 engines. He recalls at the B-24 base that they ate out of mess kits unlike Deenethorpe where they ate from plates. They flew the B-17 back to Deenethorpe. 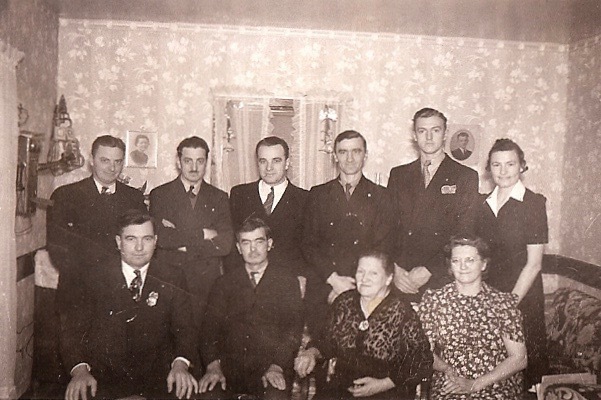 Frank’s last combat mission (Mission #32) was to a synthetic oil plant in Politz, Poland, on October 7, 1944. 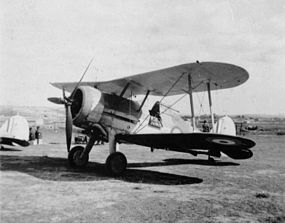 He flew with the Lt Albert L. Hanson crew. Five B-17 crews were lost that day; three planes were shot down, but two reached neutral Sweden where the crews were interned until the end of WWII. 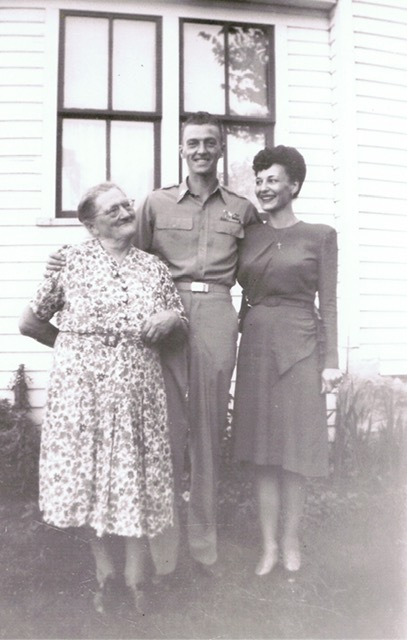 Frank sailed home to the United States (US) after completing his required combat missions. He was back in the US before the Battle of the Bulge began on December 16, 1944. His assignment on the ship while crossing the Atlantic Ocean was to guard German prisoners of war (POW) who would be interned in stateside POW camps. Staff Sergeant Perez was stationed at Amarillo Army Air Field, Texas, as a B-17 Inspector when WWII ended. Frank returned to California and earned a Degree in Agriculture from California Polytechnic University. He always had a passion for life and considered every day a blessing. Frank was very active in his church and his community. 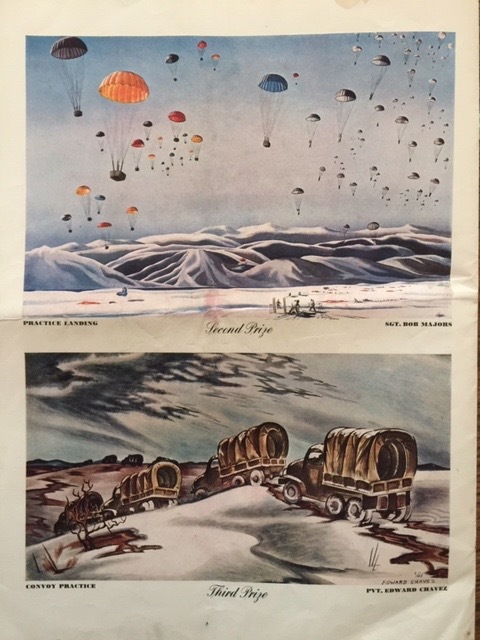 Between the ages of 78 and 88 he went hang gliding, parasailing, skydiving, and paragliding. He never lost his childhood love for flight. Frank’s crucifix is pictured at the bottom left of the photograph. Years later it still remained with his dog tags. Frank died January 16, 2015, two days after his 91st birthday. One can hope that other flyers experienced the “feeling of peace” that Frank felt before they died. Faith in God was of great importance in the hearts and minds of many people, both military and civilian, who lived through WWII. 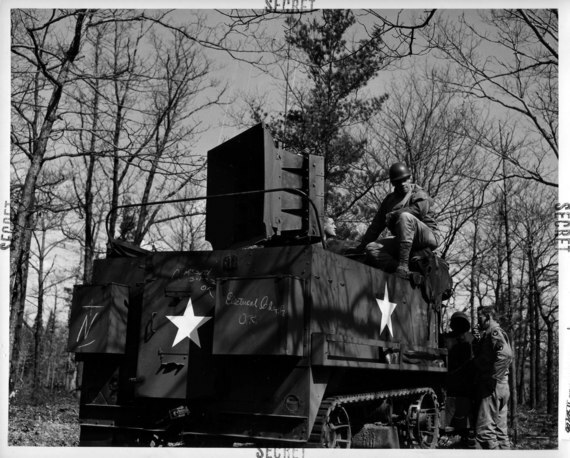 Another story on this web site, “WWII Camp Shanks, New York: And a Visit by Archbishop Spellman,” addresses the comfort that faith in God provided the men and women who fought and died in the war. 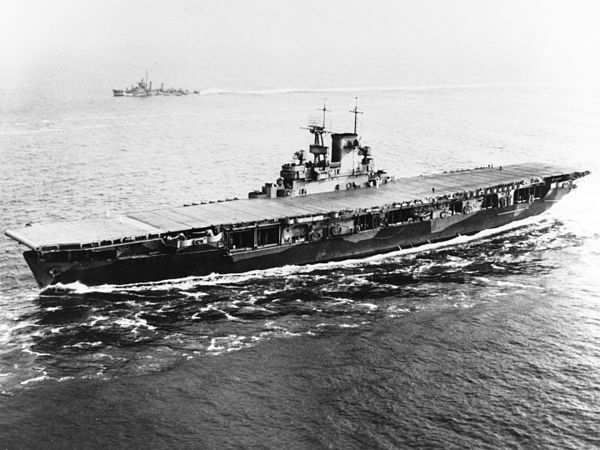 In 1943 the Ground Echelon of the 401st BG stayed at Camp Shanks before boarding the Queen Mary in New York City to cross the Atlantic Ocean to England. 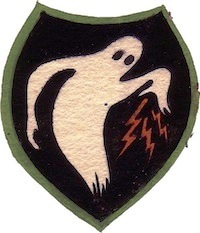 The link to the story is https://www.ww2history.org/war-in-europe/wwii-camp-shanks-new-york-and-a-visit-by-archbishop-spellman/. 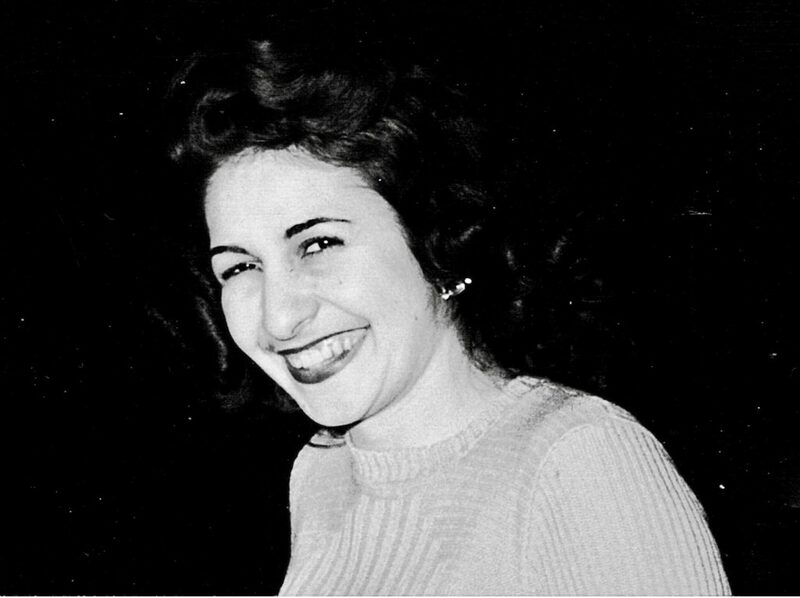 Thank you to Josie Navarro, Frank’s niece, for her help in researching this story, sharing family memories, and for permission to post the photographs. 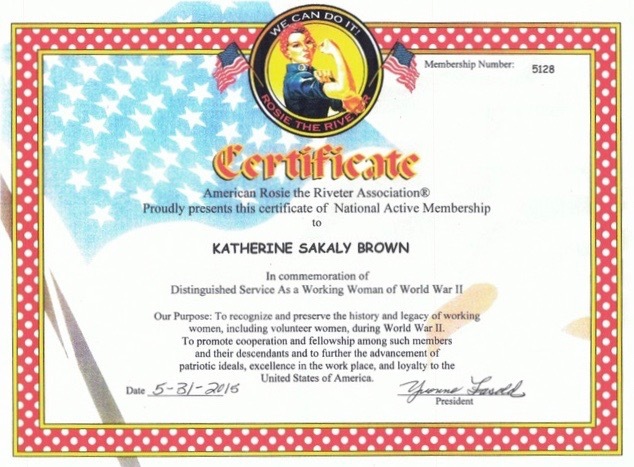 * Thank you to Reagan Grau, Archivist, at the National Museum of the Pacific War in Fredericksburg, Texas. ** Thank you to Dr. Vernon L. Williams, Military Historian and Professor of History, at Abiliene Christian University. 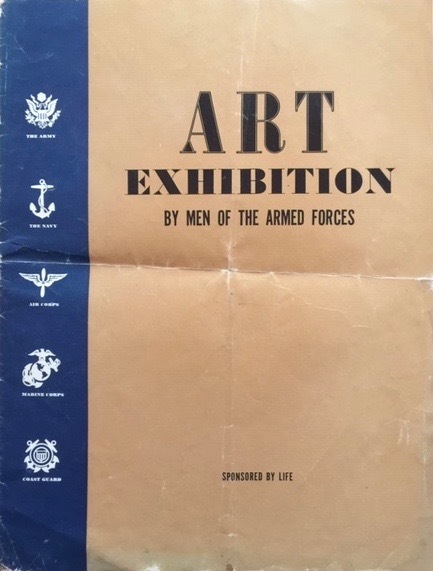 As Director of the East Anglia Air War Project, he interviewed Frank Perez and many WWII Eighth and Ninth Army Air Force veterans and also members of British communities who grew to know and love (and sometimes marry) the “Yanks.” The link for information about the project is http://www.angliaairwar.org/.